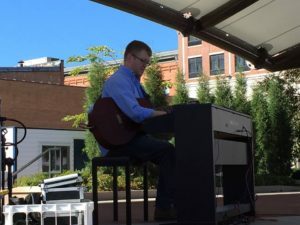 After performing in the Central Wisconsin area for over two decades, Jim Carlson returned to his hometown of Eau Claire, WI in the spring of 2016. In early winter of 2016, Jim also acquired a studio flat in Minneapolis, MN, and continues to maintain a private studio in Wausau, WI. Although Jim is best known as a solo performer (acoustic folk/rock singer/songwriter), he has supported many other acts as a sideman. He’s lent his guitar, voice and production skills both live and in studio to bands ranging from acoustic to punk, country to classical, and bluegrass to jazz. Additionally, Jim has organized and produced several music festivals and has served as support crew for several musical and theatrical touring acts. 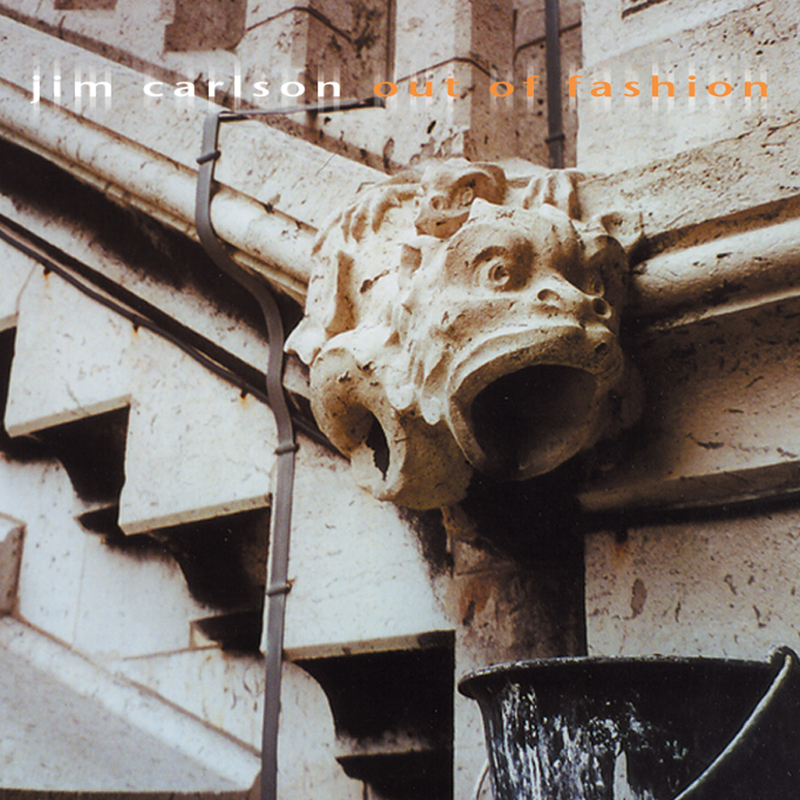 Out of Fashion was released in 2003, and showcases his abilities in the contemporary folk-rock genre, now widely considered part of Americana. 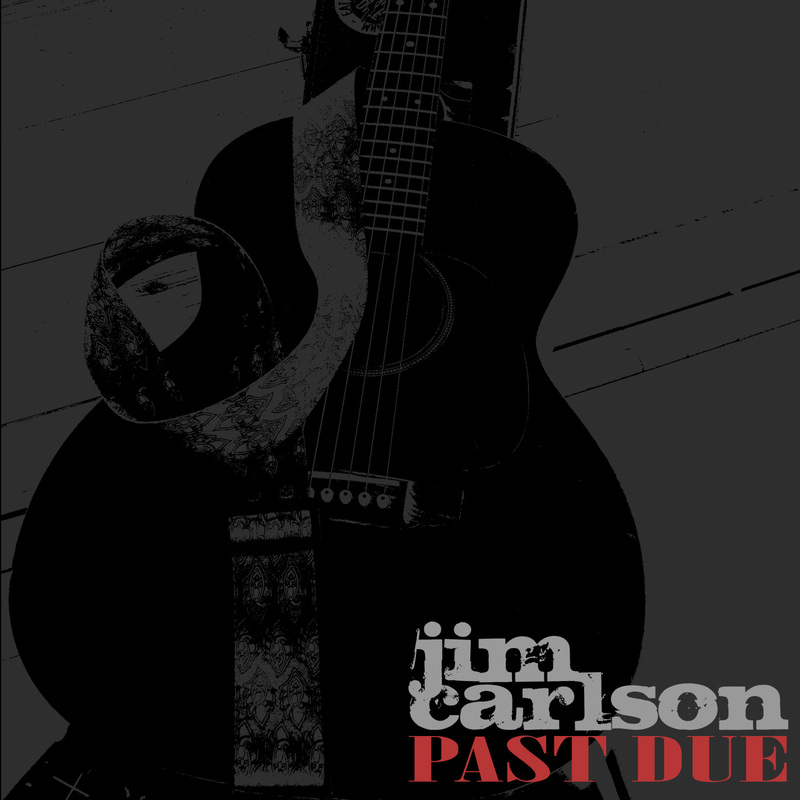 Jim’s 2015 EP, Past Due saw a limited CD release in conjunction with indie label Chill As Folk, and was released digitally later that same year. As of this writing, Jim is working on a several new projects, as evidenced by the release of his new music video, Right Now in April 2017. Jim's performances are an alternative to traditional 'cover band' or 'human jukebox' offerings. The sets feature original music as well as select, often obscure cover songs from contemporary artists (U2, James, John Prine, Josh Ritter, Ryan Adams, Gear Daddies). These shows go over extremely well in areas where audiences are open to new music. If you are looking for a traditional cover band, Jim is most likely not your best entertainment choice. That being said, Jim is always happy to recommend other musicians who may fill your needs! Solo: This is the most intimate and popular show featuring Jim and his guitar. The Solo performances are ideal for small to medium venues. Solo appearances are performed with minimal amplification or 'completely acoustic' depending room size and volume considerations. Duo: Jim has teamed up with several musicians to create expanded musical offerings. By adding a second singer/songwriter, violinist, guitarist or percussionist, the Duo performances have an expanded sound palate while retaining the intimacy of the Solo show. Performers vary, each show is unique.